Severely ill psychiatric patients are still undergoing highly controversial electroconvulsive therapy (ECT), or 'shock treatment', against their will despite promises by two successive governments to end the practice, according to the head of the mental health watchdog agency. Describing it a "flagrant abuse of human rights", John Saunders, chairman of the Mental Health Commission, said it is unacceptable that people unwilling to give their consent to the mind-altering procedure are still being forced to undergo the therapy. He said successive governments have dithered on a simple legislative amendment that would make it illegal to compel a patient to undergo the treatment against their will. About 450 people a year suffering from severe depression and other psychiatric illnesses who are resistant to medication and other therapies are administered ECT in Ireland as a "last resort" treatment, according to the College of Psychiatrists of Ireland (CPI). Although only a fraction of the patients are either unwilling or unable to give their consent to the invasive procedure, Mr Saunders said the "worrying" number of people given ECT against their will increased by a whopping 70pc in 2013 - the same year that Kathleen Lynch, the Minister of State responsible for mental health, announced that unwilling patients will no longer be forced to undergo ECT. "That to me always did seem outrageous, so that is going to go," she said of a proposed amendment to the Mental Health Act 2001, which currently allows psychiatric facilities to administer ECT to patients against their will based on the opinion of two psychiatrists who deem it is in the patient's best interests. Yet two years on - after the Mental Health Commission last week revealed that the number of non-consensual courses of ECT treatment rose from 27 in 2012 to 46 in 2013 - the law remains unchanged, with the result that unwilling patients are still being subjected to up a dozen ECT sessions each per course, in which they are repeatedly given electricity to the brain to trigger a series of grand mal seizures similar to those experienced by epileptics. The efficacy of the treatment has long divided the psychiatric community since it was pioneered in the 1930s. Some have denounced it as inhumane and barbaric, claiming it destroys memory and deadens emotions, while others hail it as an effective way to treat otherwise untreatable cases. However, the CPI did concede last year that ECT can cause amnesia, affecting past memories as well as the ability to form new ones. Writer Ernest Hemingway, who committed suicide shortly after ECT, is reported to have said before his death: "It was a brilliant cure but we lost the patient." Although the number of non-consensual patients given ECT in 2013 was less than ten - with an average seven sessions per course of treatment - Mr Saunders said it's the principle that is the issue. "It's not acceptable if it's one or a hundred. It's a breach of human rights," he said. In total, 2,217 ECT sessions were administered to 257 patients in 2013, including one patient who was 93 years old and another who was just 18. However, more than 15pc of patients underwent more than two courses of treatment that year, according to the Mental Health Commission's 2013 activity report. 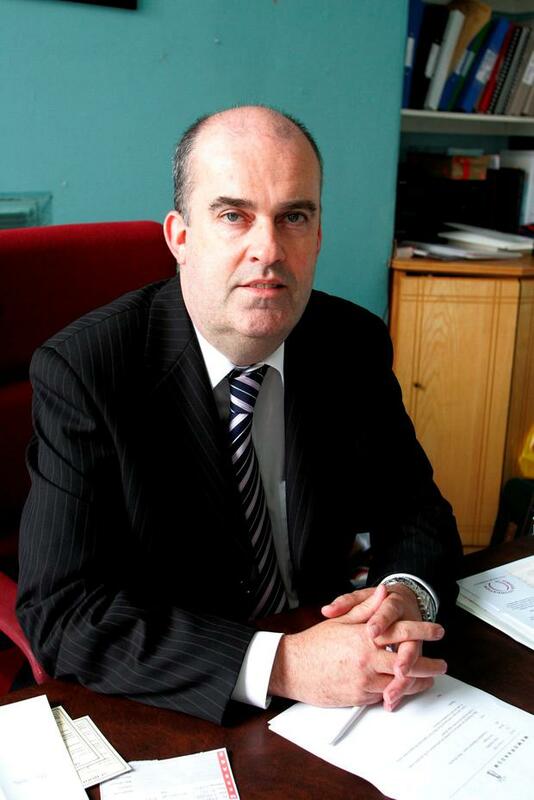 Although the final tally of the number of ECT courses administered this year and in 2014 is not yet complete, the Mental Health Commission - which monitors the administration of ECT in Ireland - is satisfied that ECT without consent is still going on and appears to be conducted on the same elevated scale as it was in 2013, Mr Saunders told the Sunday Independent. "There is no reason to think that it won't be similar," he said. Minister Lynch said in March that the amendment to the Mental Health Act to prevent ECT being administered against a patient's will following a recommendation by an expert group review of the Act, is a priority and would be done "in the shortest possible time frame". However, the stated deadline of the Dail's summer recess has now come and gone. A Department of Health spokesperson said the amendment is now expected to be enacted before the Dail recesses for Christmas. Asked why it has taken so long, he said: "Officials have been working with the Attorney General's office since September on the wording of the bill." However, Mr Saunders said there is no opposition to amending the law and all it needs is the "simple removal of one word". "For the life of me, I can't see how the dropping of one word can take so long. Even one patient forced to undergo treatment against their will is too many," he said.